In the West, we live in a time of steadily increasing hostility towards Christianity. The late and much missed Cardinal George of Chicago, who died of cancer in 2015, famously summed up the situation with the following statement made several years before his death. His [the martyr’s] successor will pick up the shards of a ruined society and slowly help rebuild civilization, as the Church has done so often in human history. In other words, we should not lose heart, for the Church will prevail, regardless of the malice of men or the devil. I thought about this recently when I heard a homily about the need to bear witness to the Faith today. The pastor made the point that while we are not at the point yet of being persecuted for our faith in this country, it might happen in the future, and it is more likely to happen if we do not stand up for the Faith now. Countering prejudice at an early stage, he suggested, can help to stop it growing into open hatred and persecution in the future. He reminded us of how blessed we are in this country, still, compared with many who live in real fear for their lives for practising their faith, especially those in some predominantly Islamic countries. I pray that if required, I might have the courage of the martyrs through the centuries who stood up to oppression, whether from ISIS or the Emperer Diocletian. In the meantime, the question is: What can I do here and now to play my part? How do I bear witness in such a way that people know that I am Catholic, and is likely to create an impression positive enough to draw people to the Faith? The first thing, I think, is to acknowledge my need for God’s grace to be able even to begin to live up to Christian ideals. The second is let people know that I am a Christian. I live in the San Francisco Bay area, and I often hear derogatory remarks about Christians and Christianity. 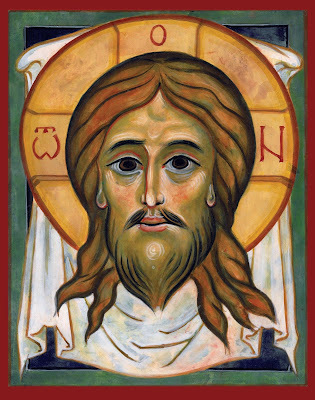 Wherever possible, I try to respond by casually and cheerily remarking that I am Christian. Usually, that has the simple effect of halting the conversation because “the Christian” is no longer an abstraction in their imaginations, he is a real person. And I find that even here, most people shy away from offending flesh-and-blood people standing in front of them. 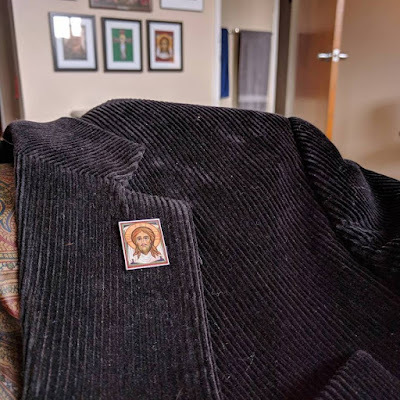 In his sermon, our pastor at St Elias Melkite Catholic Church suggested one simple way of discreetly but visibly making such a statement is to wear a Cross, which may arouse curiosity and cause people to ask what it is. This can also give us the motivation to be better Christians, because we are so clearly identifying ourselves with the Faith. People have already asked about it, and one even asked where I go to church, so I gave her a St Elias Melkite Catholic Church business card, which the pastor had printed up and encouraged us to have in our wallets, just in case! I also see many people looking at it when I wear it, although most do not say anything. Nevertheless, I am pleased about this because I feel that I have made a statement without saying anything, in a way that I feel comfortable with. 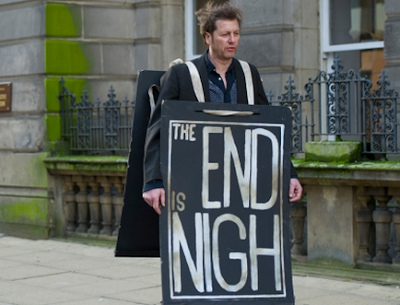 I might be wrong, but I don’t feel that I am the sort whose natural gifts include attracting people to the Faith by standing on a soapbox and preaching on a street corner to passers-by, or by wearing a sandwich board that says “The End is Nigh”, as a man used to do for years in Liverpool city center when I was growing up in the 1960s and 70s. Perhaps I am less courageous than this man. 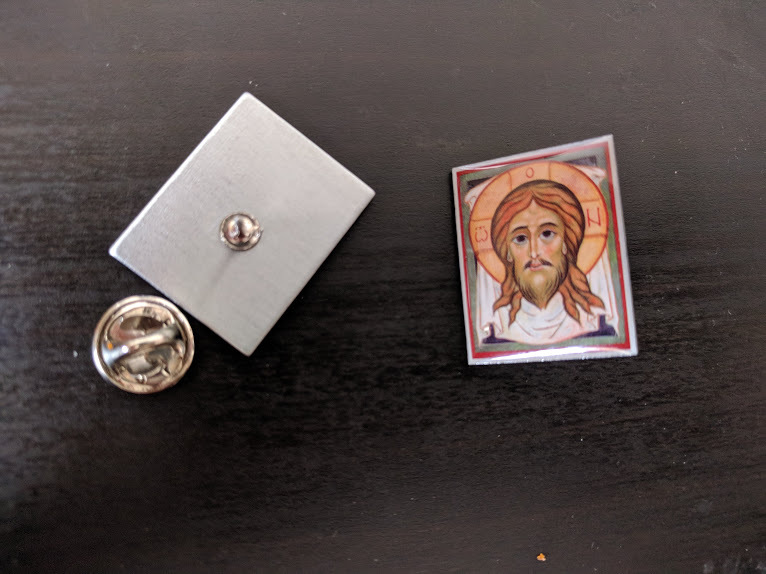 But a lapel pin is my way of being in-your-face with the Holy Face, while not looking as though that’s what I'm trying to do. It was easy enough to do - you could easily create your own if you have a jpeg file of an image you like. I am curious to hear from readers. 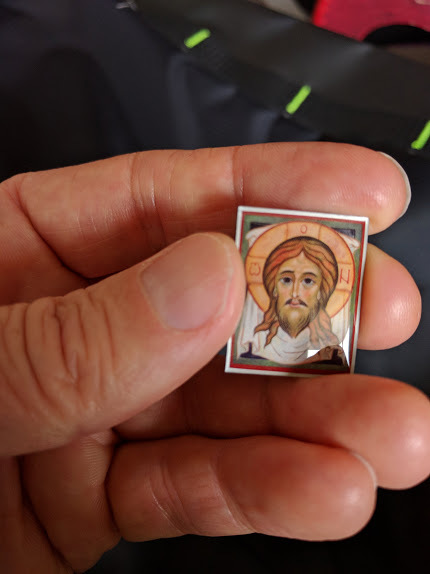 Do you have any ways that tell people you are Christian without putting people off? I’d love to hear about what you do and the reactions you get. This is probably something that would appeal more to men than women, so what might women do alternatively?